Valletta 2018 at the Cerealia Festival. Valletta 2018 projects featured in this year’s Cerealia Festival in Rome, which is extended to all countries of the Mediterranean area, and is this year dedicated to Malta as it celebrates the European Capital of Culture. 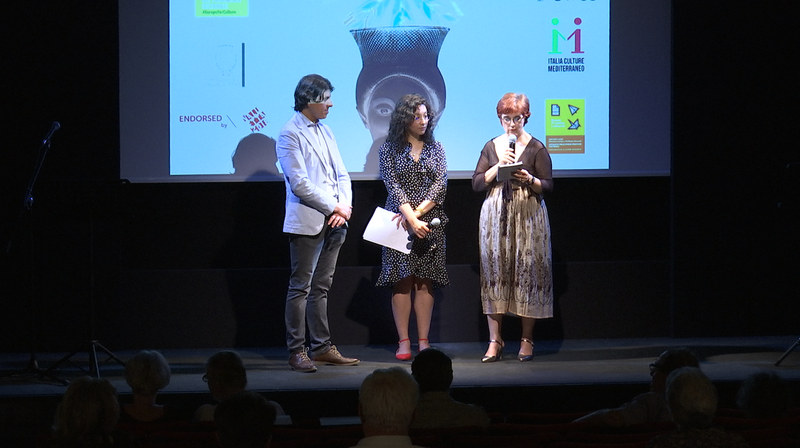 The projects featured in the festival were Poetry in Potato Bags, which included a poetry reading of the poems in Maltese and translated to Italian, as well as screenings of poetry films from Poetry on Film and short films from Valletta 2018’s Tafal series. Thus, further strengthening the Cultural Programme’s international dimension and reinforcing cross-cultural collaboration with other countries. The festival, which coincides with the European Year of Cultural Heritage, was held in Rome between Thursday 7th and Sunday 10th June. Apart from Malta’s European Capital of Culture Year and the European Year of Cultural Heritage, the 2018 edition of the festival also coincides with the International Year of Italian Food. The event has an international exposition, as it connects to the Mediterranean by celebrating a different country each year. Among the countries which have been part of this festival are Egypt (2011), Turkey (2012), Greece (2013), Cyprus (2014), Croatia (2015) and Morocco (2016). The aim of Cerealia is to spread knowledge and awareness of the value of land and indigenous cultures, to re-establish the links between the area of ​​production and the consumer’s table, even reviving old customs and traditions, based on respect for the earth and its fruits. Cultural pluralism has been, since ancient times, a permanent feature of the Mediterranean basin. The Cerealia Festival is a moment of cultural exchange which tackles issues such as nutrition, the environment, economy, territory and social dimension; issues presented in the current context, which characterizes the varied world of grains, given that the social and economic value of grains is immense.